There was an article in the Wall Street Journal yesterday titled “Free Our Churches From the Ugly and Stupid”. The main point of the article is that we must revisit our Catholic Tradition in order to better preach the Gospel. 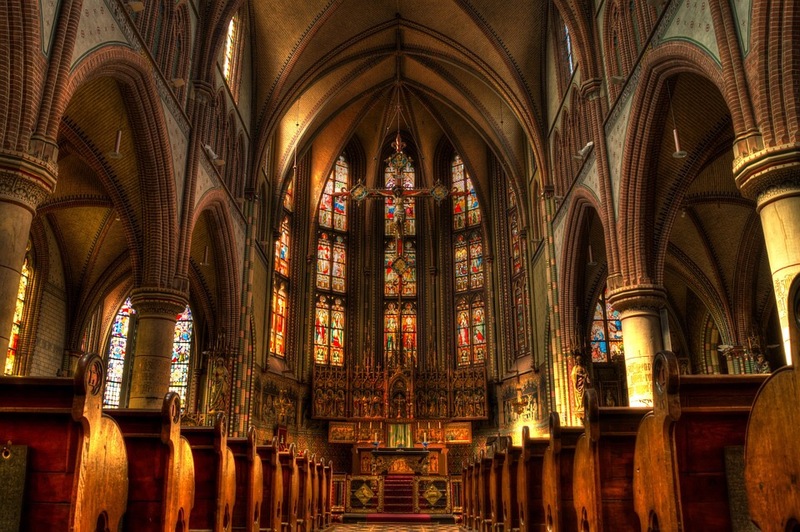 The author says that we must look to the artistic traditions of the Early Church, the Gothic architecture, and the other great sacred artistic traditions in order to find the Beauty in the Catholic Church that we so easily got rid of in the time after the Second Vatican Council in the 60’s. The author tells a story of a home renovation that uncovered beautiful wood flooring underneath worn out carpet and plywood. He uses this analogy to describe how we have covered up our beautiful, ancient culture of art and music with modern art that doesn’t stir the imagination and draw attention to God. The author is making a connection between Beauty and Preaching the Gospel. This is a connection Bishop Robert Barron (Word on Fire) makes as well. The Bishop includes “Leading with the Beautiful” as the first “Key to the New Evangelization”. He says that the Church needs to showcase Her Beauty to the world. She must showcase the Beauty of God’s Love and Mercy, of the Saints, of Her intellectual and artistic tradition. The Bishop says this is the best way to evangelize in the modern world. Hans Urs Von Balthasar makes a similar case for Evangelizing with Beauty. He describes in his “the Glory of the Lord” that Beauty is the way to lead people to the acting Good and then to believing the Truth. It would be difficult for someone to be converted based solely off of arguments alone. It makes more sense to present to people how beautiful God’s mercy is for a sinner, or how beautiful the love is that God feels for us. It’s better to win people over with the Beauty of the Liturgy, which is the meeting place of Heaven and Earth.